Note: This is not just for instructional designers. Image this: one lone instructional designer in a department that handles a lot of continuing education courses for doctors, nurses, counselors and other healthcare professionals. This lone instructional designer has no one to bounce ideas off of or ask about trends in the Instructional Design (ID) field because they are the only one in that department that is in ID! How frustrating! How is this instructional designer going to learn new things, technologies, new adult learning theories, trends, etc.? Well, that lonely instructional designer is me. How do I handle not knowing what I need to know? Here is what I do...I take responsibility for my own professional development. Yes, you read that right. I take responsibility for my own professional development. We expect students to take responsibility for doing their homework. So what about the rest of us? Shouldn’t we take the responsibility for doing our homework/professional development? Please don't tell me that you don’t have the time, or that you get interrupted. Put it in your calendar at least once a week for 30 minutes to an hour. Close your office door and put a sign on the door telling people that you are in a webinar (even if you are reading a blog or an article). I promise they won’t bother you. In a cubicle? No worries. Plug your headsets into your computer and put a sign on the outside of your cubicle. Set your instant messages to “busy” or “do not disturb.” Don’t look at your email during this time, or answer the phone (unless it’s your boss). First, let’s list a few reasons to obtain professional development. It keeps you in the loop. You gather knowledge on what is happening (trending) now, and what is up and coming, in your field. You meet new people and get to learn from new ideas. Or you could even help each other on a project. It makes you more marketable. If, heaven forbid, you lost your job tomorrow it will be easier for you to find a new one if you are up-to-date on trends in your field, or know a lot of people in your field. It’s just smart. Never stop learning, because learning leads to growth. We want our students to keep learning, so why shouldn’t we? Sometimes when you think you are only going to do 30 minutes of professional development, it ends up being two hours. You get so caught up in learning new things that are interesting, you lose track of time. This may not make your boss too happy. Most of my examples are for Instructional Designers, but these are all options. Now, let’s talk about how to pursue professional development. With budgets being cut, do I pay out-of-pocket to attend conferences or to obtain any type of professional development? No. I get it for free! How? Well, I’m glad you asked. LinkedIn: Getting professional development for free is easy. First of all…are you on LinkedIn? Yes, it’s a great networking tool, but it also has professional development groups that you can join for free! You must ask to join first, but that’s no big deal. They send you interesting articles and blogs directly to your email sometimes daily! Stressed about getting an email every day and making the time to read that email? Well, don’t. You are in charge of your professional development, so read the headline and if it doesn’t interest you today, move on. I could go on and on, but you get the picture. Link in to LinkedIn and find professional groups! SH!FT: Now on to blogs you can sign up to receive. My new favorite for ID’s has to be SH!FT. I absolutely love Karla Gutierrez’s blogs. Check out her #30_Days_of_eLearning, but remember that 30 minutes into two hours, because Karla offers a lot of extra links for her readers. Allen Interactions: There also is the wonderful and entertaining Michael Allen, Chairman and CEO of Allen Interactions. The blog is available from Allen_Interactions. Michael and Allen Interactions hold webinars that are free! Free Webinars from Articulate and Trivantis: Think about outside vendors that you use. Do they have a blog? 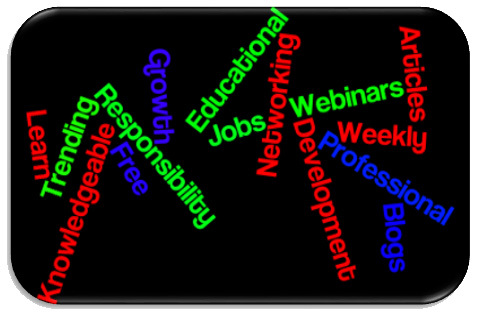 What about free webinars? For instance, do you use a specific authoring tool for your courses like Storyline (by Articulate) or Lectora (by Trivantis)? They send out blogs and articles regularly on important topics (like how to work with your SME [Subject Matter Expert] without pulling out your hair), product updates and tutorials, and even downloadable books. My favorite is when they send out free templates! Tom's The Rapid E-Learning Blog: Storyline has a great blog by Tom Kuhlmann. If you have never read Tom’s The_Rapid_E-Learning_Blog you are missing out. Tom provides all types of tidbits to become an e-learning pro. He even shows, and explains, examples and gives you websites where you can get things free like free fonts, vector images, icons and more. Even if you are not a Storyline user, it’s worth checking out. The Trivantis Blog: The Trivantis_Blog has categories to choose from like accessibility and eLearning 101. The blog offers tutorials and recaps from some of their conferences. You can add a comment or even talk or share the blog through social media. Gotta love that!!! 3Play Media: These outside vendors sponsor free webinars, not only on how to use their products, but what is going on in the educational world. I am (as a professional in education) passionate about accessibility in everything I create (documents and courses). One vendor I use a lot is 3PlayMedia. They are always hosting webinars on accessibility. Find something in your professional life that you are passionate about and search the web for sites that offer free blogs, webinars, and articles. Social Media: Who doesn’t use some type of social media? Instagram, Twitter and the favorite….Facebook? There are a lot of educational pages that you can join to further your professional development. Go to your Facebook account now (I’ll wait), go to Groups and find Schools and Education. Search and find what you want to join. I’ll be honest, Instagram and Twitter aren’t my “thing,” so I don’t know much about them. However, I do know a lot of leaders in the education field use them to post/blog ideas and links to articles. Search for one of your favorite educational professionals and start following them today. C2C Digital Magazine: Let’s not forget how you got to this article in the first place! Colleague2Colleague (C2C) and the C2C Digital Magazine. It’s free to join C2C and there is a network of colleagues to learn from. Looking for a job? C2C sends emails out to their members about job openings. Or email them to list a job for your business. Each year C2C holds an affordable conference called The Summer Institute on Distant Learning and Instructional Technology (SIDLIT) filled with educational information for everyone. They are also on social media! Sign up today to get information through email. There are a lot of sites, blogs, articles, etc. that I could go on and on about, but remember I have a set word count. Remember you are not alone and everything doesn’t have to cost. There are free professional development offerings you can sign up for now. Take responsibility for your own professional growth and development. You can learn what you don’t know on your own. Do your homework! Kendra L. Barker is an Instructional Design Specialist at the University of Missouri-Kansas City. 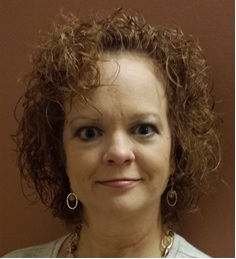 She has worked for over six years in the Instructional Design field. She has a B.S. in Elementary Education and an M.Ed. in Learning Systems Design and Development. She is the incoming chair for Colleague to Colleague in Fall 2017. She may be reached at barkerk@umkc.edu. Discussion of "How Do You Know What You Don’t Know?" Version 10 id 1240609 of this page, updated 16 June 2017 by Rebecca Gould. Created by Shalin Hai-Jew.